Twenty-year-old Erin McCracken suffered a blood clot when she was born which left her paralysed on her right side. Erin is also epileptic and received additional support whilst at school. However, things started looking up for Erin after she got in touch with Fair Start Scotland. Being paired with her mentor, James, helped Erin figure out what she wanted from her Fair Start Journey. James worked with her to develop a plan that suited her, to help her get to where she wanted to be. 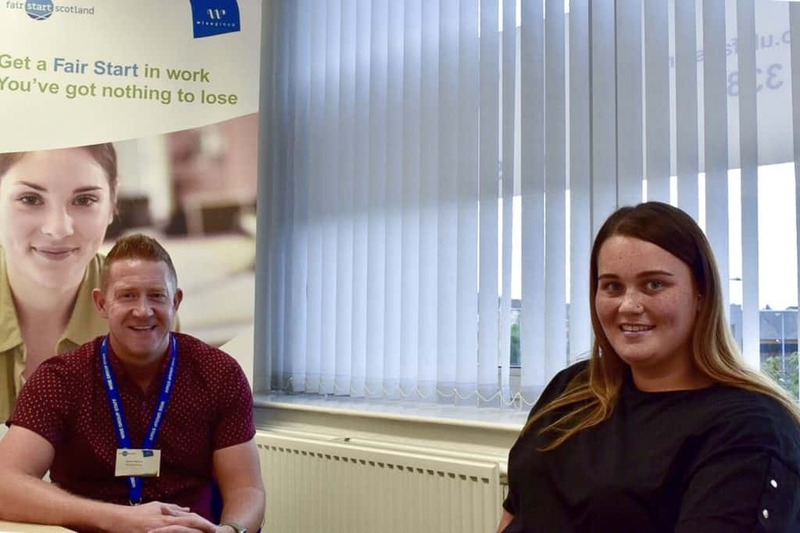 “With help from James and the team at Fair Start, I attended Mindset training and started to feel positive about my prospects and being able to pursue my dream career,” Erin said. Erin was able to secure a childcare placement in Linwood working with children under 5 – a perfect fit for her.